The STREAMFLO-50™ Trolley System, mobile water delivery providing pure water on demand. Simply fill the container with tap water and it's ready to work, producing 0ppm pure water on demand (version with resin filter only). Commercial trolley built for the most demanding tasks, ideal for: professional window cleaners, contract cleaners, shopping centres, hotels, schools, hospitals, nursing homes, public houses, clubs etc. 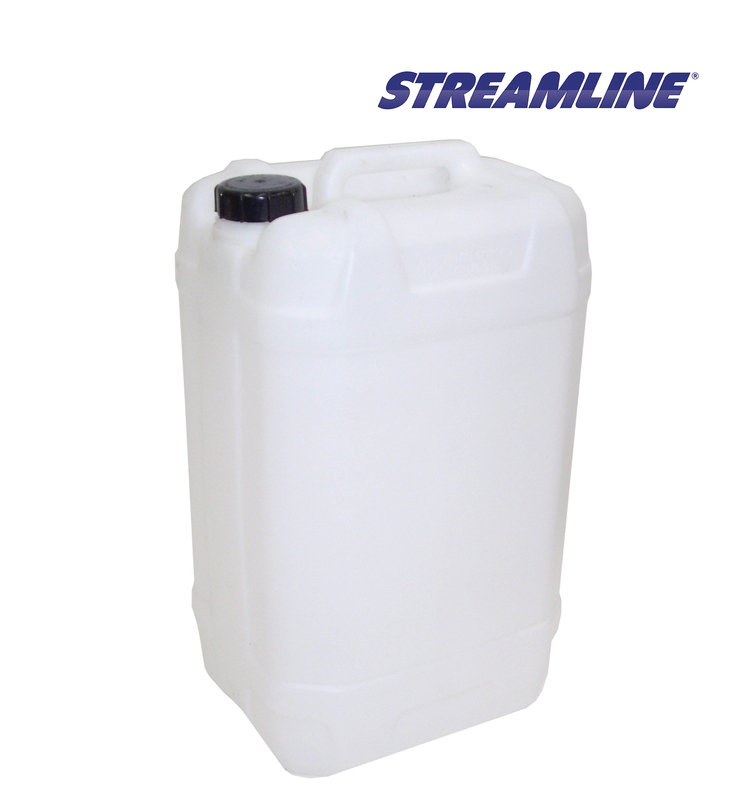 2x 25 litre containers (approx. use – 25 litres of water per house). 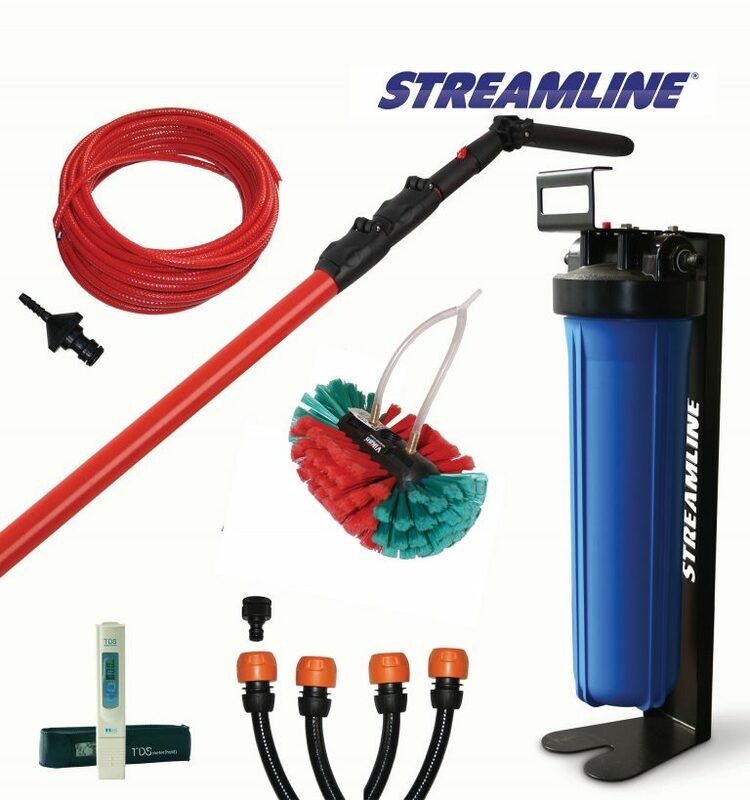 Streamline® Flow Controller to maximise flow and save wasting water. Rechargeable gel battery with intelligent battery charger for efficient recharging (it is recommended that you charge battery each night, however battery may last 2-3 days, depending on usage). Compact design, with collapsible handles for storing in confined spaces. Lightweight frame with handle mounted on the front plate, for easy lifting and handling. Low profile flat-free tyres, for rough terrain. DI filtration (optional extra – see part codes below) for fast pure water production. Filter cartridge system allows for fast and easy filter changes. TDS hand-held meter for accurate water quality checks (DI version only). Stainless outlet connector with stop valve to save water when disconnected. Filterplus® MOBI ™ Blue 20"